Revered for pioneering the law and literature movement, The Legal Imagination celebrates its 45th year of inspiring students and readers around the world. In this special Anniversary Edition, introduced with a new Foreword by author James Boyd White, the original, unabridged text has been carefully reproduced to challenge a new generation of readers to understand the language of the law through the prism of literature. The topics covered in The Legal Imagination are as eclectic as its readership, juxtaposing examples of legal writing alongside poetry, philosophy, and literary criticism. White frames thought-provoking discussions on topics that intersect both legal and non-legal discourse, like reading Edmund Burke’s rhetoric alongside the homicidal persuasion of Lady Macbeth, or comparing elegiac poetry with the terminology of a final will and testament. White asks his readers not only to analyze legal and non-legal literature, but to consider the power of language, and how it can be reimagined. Excerpted authors include Fyodor Dostoevsky, Benjamin Cardozo, Albert Camus, Claude Lévi-Strauss, and Emily Dickinson. First published in 1973, The Legal Imagination broke convention and urged students to understand the law beyond memorization, encouraging readers “to trust and follow their own curiosity” and to come to terms with the nature and potential limits of legal language. It should be read not only by people of the law, but by anyone with an interest in language and power, and in writing as a way of thinking and creating. "Professor White offers a vision lawyers need even more today than at the book’s first publication 45 years ago. . . . The Legal Imagination is quite simply a work of art." "Within its pages, a thoughtful teacher walks with us and talks with us and helps us imagine ways of reading, writing, listening and speaking that can win arguments without losing humanity." "This wonderful book helped me learn what it means to be a teacher. I have learned to listen more than speak and to focus on helping each student discover their unique gifts and bring them to their work. . . . This book changed my students’ lives and my own." 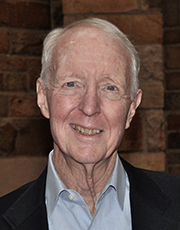 "Jim’s philosophy of legal expression has been by far the single greatest influence on my legal thinking, writing, advocacy, and life in the law." "The Legal Imagination sparked the renaissance of a humanistic approach to law when it was first published. It is as vibrant today as it was in 1973 and its lessons remain invaluable for law students and legal professionals. 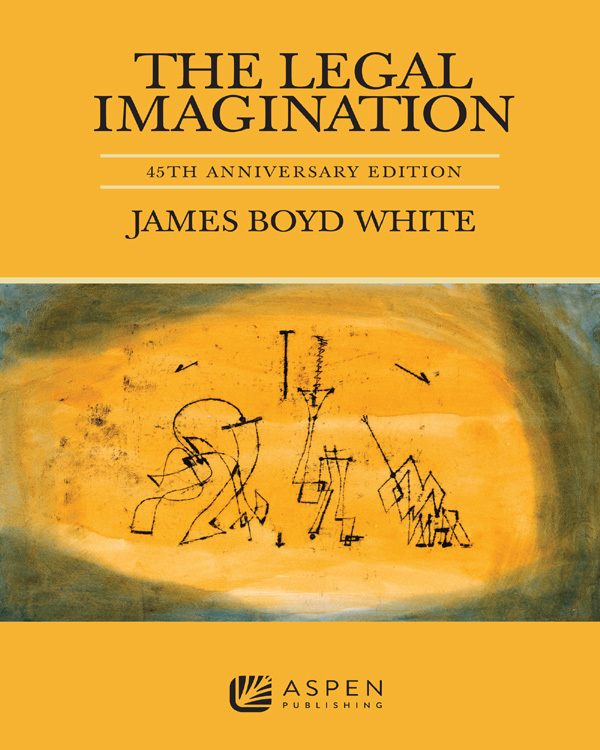 The book's title is performative: James Boyd White's thought-provoking selection of texts ignites the jurist's imagination, and that is the most important tool to practice law and do justice. This wise book will stimulate new generations of readers to reflect on what really matters in law and life."